[By Nick] Remember how I said I had a huge backlog to kill off? Well, welcome to Nick Week Part II! 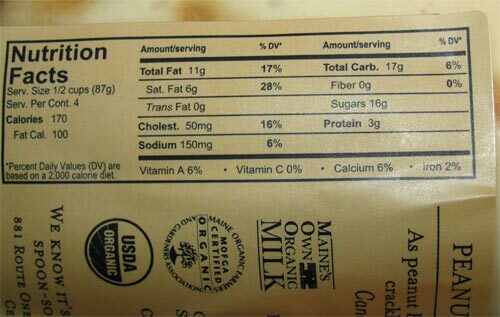 There's a wide range of stuff to cover so let's start with a flavor from Maple's Organics that has me quite interested. I'm still kicking myself for never having a chance to try Ben & Jerry's version before they sent it to The flavor graveyard. Peanut brittle is one of my favorite things and I can't believe I never tried it. Nothing I can do now about that but try this gelato and hope it's as good as I hope it would be. Okay, first off I can see we're going to have some problems here. 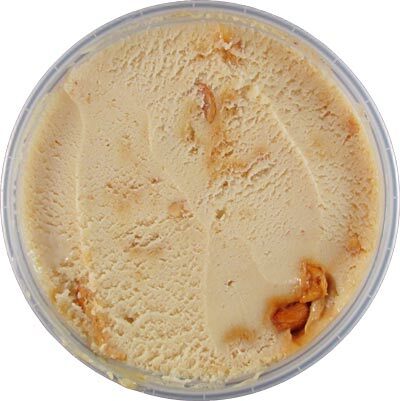 The mix-ins inside this gelato are not peanut brittle at all. They look more like regular peanuts with a slight coating to them. After trying one, that's exactly what they are. They just remind me of butter roasted peanuts and not brittle at all. Don't get me wrong, they're still good just not properly named. The gelato is on par in consistency with the other Maple pints, it's no Gelato Fiasco or Talenti. It could be a bit creamier and smoother but my expectations have been put in place from the previous pints. The flavor on the other hand is really good. It's full of natural peanut butter flavor, as if you've fresh ground the peanut butter yourself at a Whole Foods. I like it more than I like Ben & Jerry's peanut butter base but it's not as good as The Gelato Fiasco's. There also seems to be some sort of swirl involved. I honestly have no idea how to describe it and it seems I don't have any photos truly showcasing it. It's kind of like caramel in consistency but more on par with a peanut flavor. It's almost like a peanut syrup if that was a thing. Note that I said peanut and not peanut butter. This is more nutty and salty than a normal peanut butter flavor. It's pretty good but I wish they would've listed what it was so I'd have a better grasp on what to compare it to. Whatever the case, it's my favorite part about this pint. So is this a good flavor? Yes it is but it doesn't make me think of peanut brittle at all. That said, I can't think of a better name for this gelato so I'll give them a pass. If you see this at a good price, grab it for a change of pace. If not, you won't be missing anything epic. Anon, if only there was peanut brittle involved instead of the peanuts. The swirl seemed to be separate from the peanuts that were supposed to be the brittle as well so I'm not sure what it was. 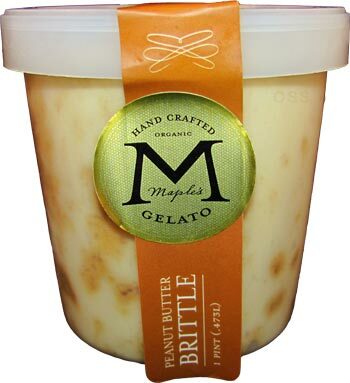 I can assure you that it is in fact peanut brittle in the gelato as I make the brittle, we do not use corn syrup in our handmade brittle so the texture is a bit different than what you would expect from brittle. It does indeed "melt" into the gelato when mixed in, creating that peanut swirl you mention in your review. Our gelato does not travel well and we have decided to keep it local in our shop in Maine. You can still buy our pints there as well as have many different flavors scooped by our awesome staff.